What a lucky little girl…. 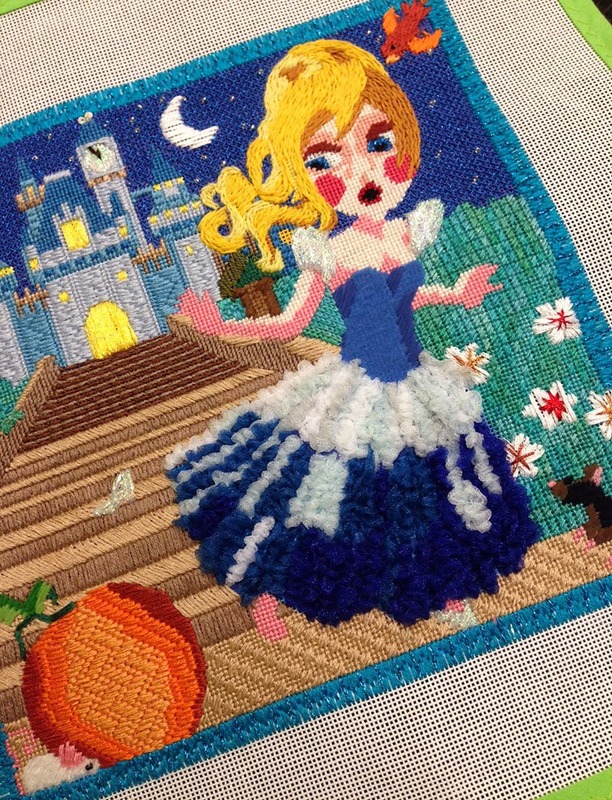 Grandma Carol has been stitching up a storm on my fairytale canvases. They are turning out so cute. Lots of color, lots of stitches. Just fun. Cinderella has just heard the clock strike midnight. 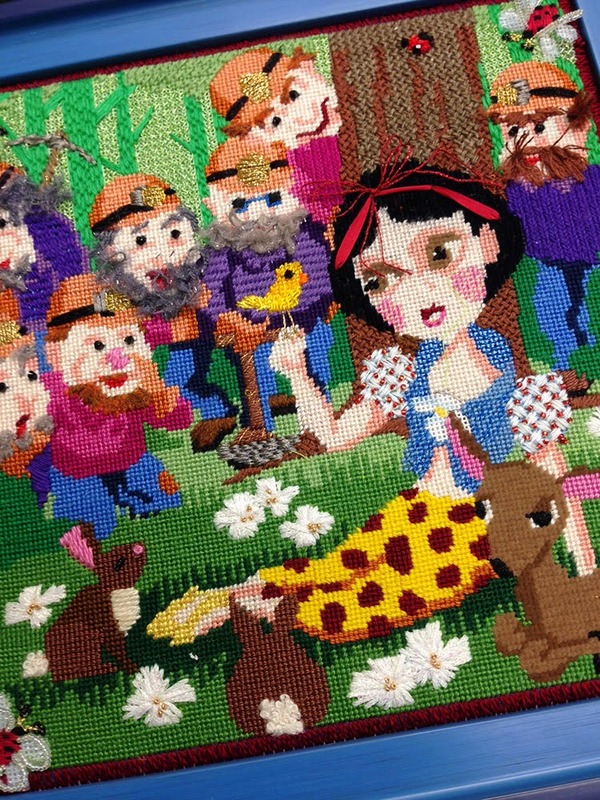 Snow White is in the forest with the dwarfs. You can see the series here. Thanks for visiting.